Despite our name, The Famous Canadian Beer Run isn’t just about great beer. In fact, even if you don’t drink beer there is plenty to enjoy about our event – art, vodka, free ice cream and of course, great food. And for those looking for even more, how about cider? Crisp, clear and just in time for fall! 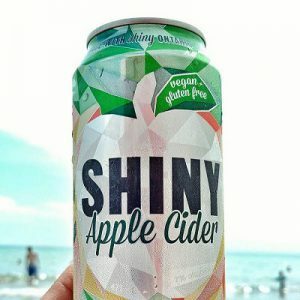 We’re thrilled to welcome Shiny Apple Cider to our list of Festival vendors (and yes, you can use your beer chips at their booth!). Take a shine to this refreshing gluten free and vegan beverage, with notes of pear and caramelized toffee apple. It’s pretty much fall in can. Come meet the Shiny Apple Cider crew at the Famous Canadian Beer Run in Toronto this September 18th!